Our Archive storage provides departments, researchers, and applications a local, network accessible repository suitable for files and documents that need to be kept long term. This repository can be easily accessed by multiple users/clients simultaneously and provides high resiliency to protect against data loss. We offer both NFS and CIFS (SMB) file protocols to accommodate a wide variety of configurations. This local storage option is cheaper than many cloud service options, including Amazon Glacier and isn't burdened with long access times or complex APIs. By default, this storage is provisioned with no backup or offsite replication, but these features can be added for an additional service charge. This service is certified for data classified at levels 1-3 and PHI. The Division of IT also provides around-the-clock monitoring 365 days a year, a physically secure environment, timely hardware upgrades, backup options, and backup power. Archive storage provides a highly available, highly scalable data storage solution for Windows, Samba, and Linux (NFS) clients and supports file shares at the lowest rate possible while maintaining security, adequate performance, and optional data protection. Billing is based on assigned quota, not actual usage. See Pricing tab for the most current rates. 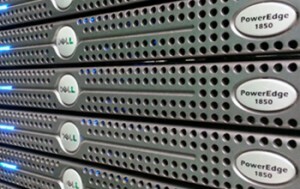 Archive storage is charged monthly at a rate of $7.00 per TB. A MoCode is required to obtain this service. Monthly billing is based on the highest quota assigned to the share in the previous calendar month. Archive storage supports file share connections via CIFS (Windows/Samba) or NFS (Unix) protocols. Go to doitservices.missouri.edu to request Departmental File Storage. Login to the self-service portal with your University id and password, select Service Catalog, and search for Departmental File Storage.